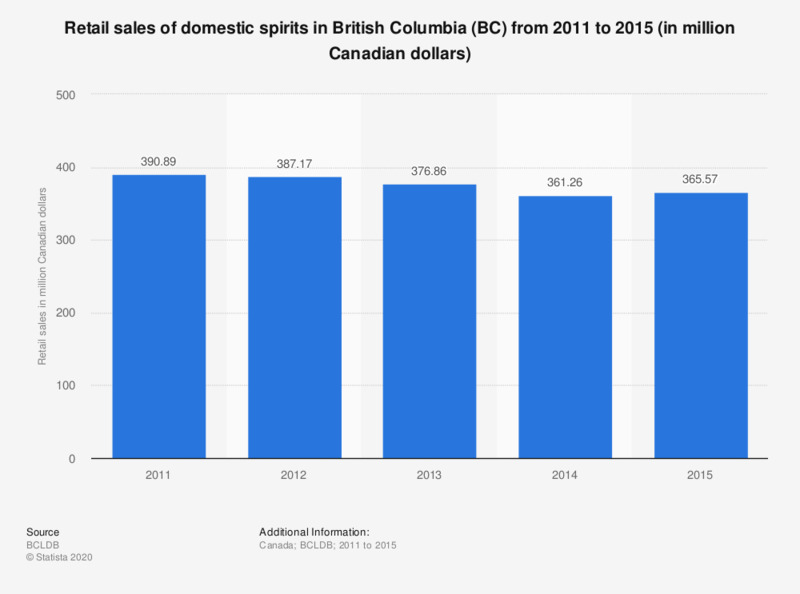 This statistic shows the retail sales of domestic spirits in British Columbia (BC) from 2011 to 2015. Retail sales of domestic spirits in the Canadian province of British Columbia amounted to approximately 387.17 million Canadian dollars in 2012. Annual figures are 12 month periods ending in March.